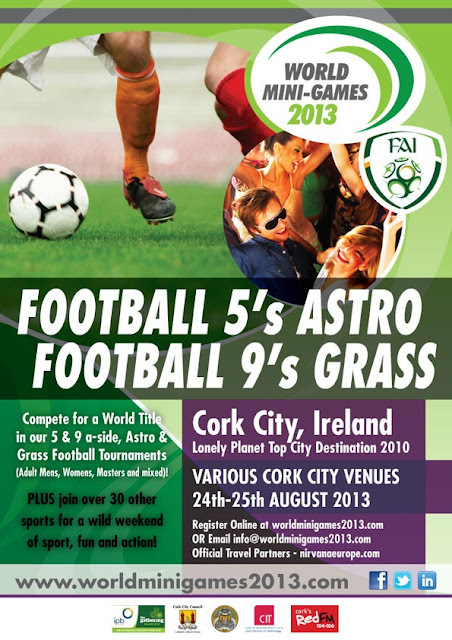 SOCCER IN CORK: World Mini-Games 2013 in Cork. Football games, 5 and 9 a-side. World Mini-Games 2013 in Cork. Football games, 5 and 9 a-side. Football games, 5 and 9 a-side.